With the big U.S. NFP report around the corner, I’m betting my best pair of shoes that we won’t lack volatility in our charts this week! New Zealand has already fired the first salvo today with its building approvals report, but we’ll also see Australia’s trade balance, Canada’s employment and GDP numbers, and even China’s manufacturing figures. Of course, let’s not forget all the employment-related reports from the U.S.! The comdolls started the week strong despite mixed reports from the comdoll countries. 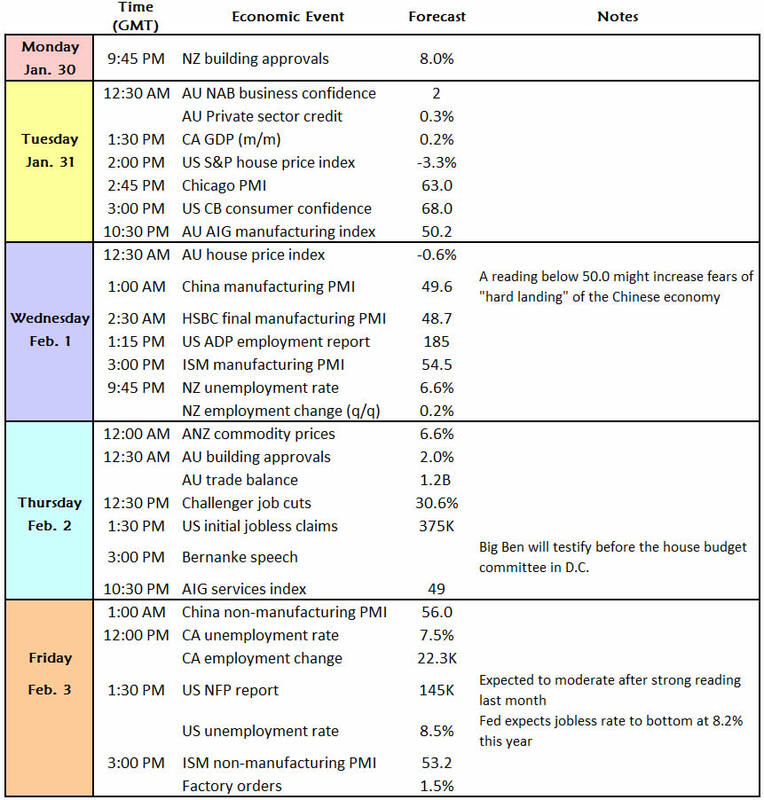 Australia’s 0.3% PPI growth fueled concerns of an interest rate cut, but good vibes from Canada’s leading indicators managed to turn things around by the U.S. session. The comdolls pared back some of their gains though, when risk appetite took a backseat in the markets on Tuesday. Around the middle of the week the Fed’s decision to extend its low interest rates period brought back appetite for the high-yielding comdolls. Heck, traders even ignored the IMF’s decision to downgrade Australia’s economic outlook! The comdoll-lovin’ remained for the rest of the week with both the Aussie and Kiwi making new three-month highs against the Greenback. Of course, it might have helped the Kiwi that New Zealand surprised markets with a trade surplus. By the end of the week, AUD/USD had risen by 193 pips, NZD/USD had climbed by 190 pips, while USD/CAD registered a 137-pip gain. 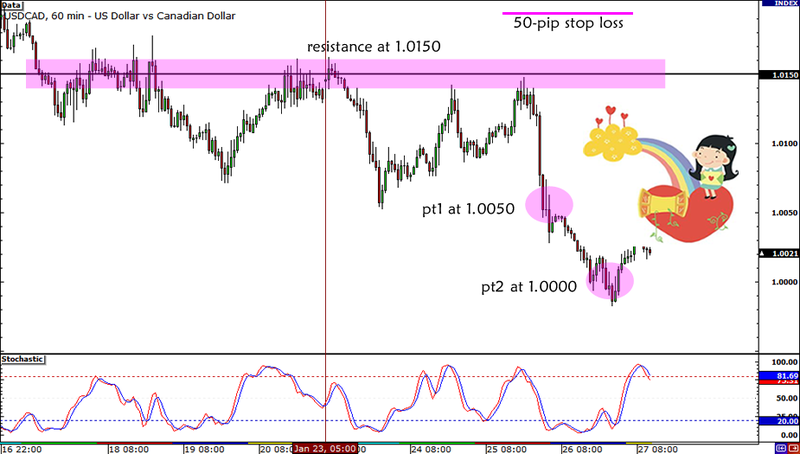 As for the best setup of the week, I picked this range play on USD/CAD because of its simplicity. As we all know, if there’s one comdoll pair that has a tendency to range, it’s USD/CAD ! USD/CAD has been moving sideways since the other week, as it found resistance at the 1.0150 area and support near 1.0050. Had I set a short order at 1.0150 at the beginning of the week, I would’ve caught this potential 2.5-to-1 trade. I could’ve set my first profit target at the 1.0050 support, moved my stop to breakeven, and aimed for parity next. As you can see, the pair also hit the 1.0000 mark and I could’ve locked in the rest of my profits there. Tomorrow I’ll be posting my comdoll calendar and the important comdoll levels we should keep our eyes on. In the meantime, do you have any questions? Call me, tweet me if you wanna reach me!